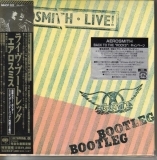 Originally a double vinyl album, the live tracks were taken mostly from the '77-'78 tour and present an accurate representation of Aerosmith's live sound from that period. Also included are a couple of great live tracks from 1973. Cover:Gatefold cover. 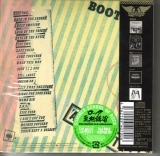 The cover of Live Bootleg has a "paper-like" texture which has been faithfully duplicated on the mini lp release. Inserts (as per original):The 2 LP inner sleeves, and the poster from the original LP release, are faithfully reproduced.